It’s so tempting to skip over Thanksgiving and get right in the Christmas spirit. But like the Pilgrims, who stopped to remember all that God had done for them, we also should take time to celebrate our blessings, which includes spending time with our families. 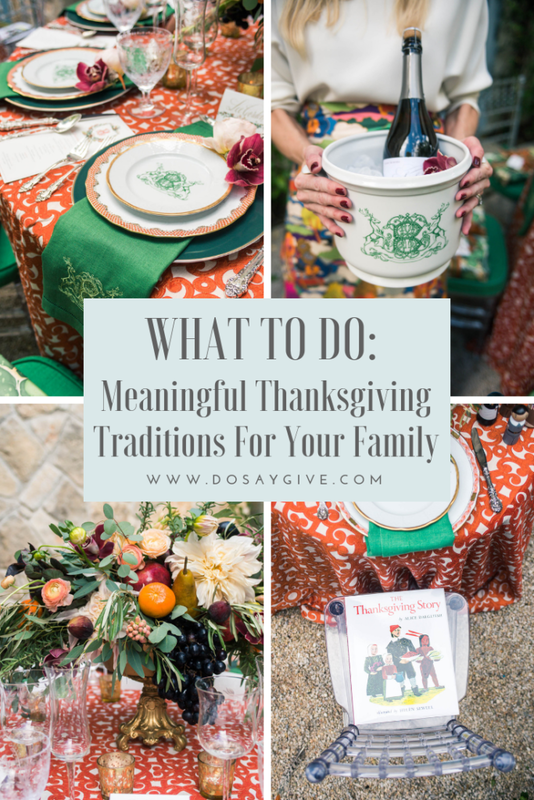 In this post you’ll find easy yet meaningful family traditions and activities you can start this year. 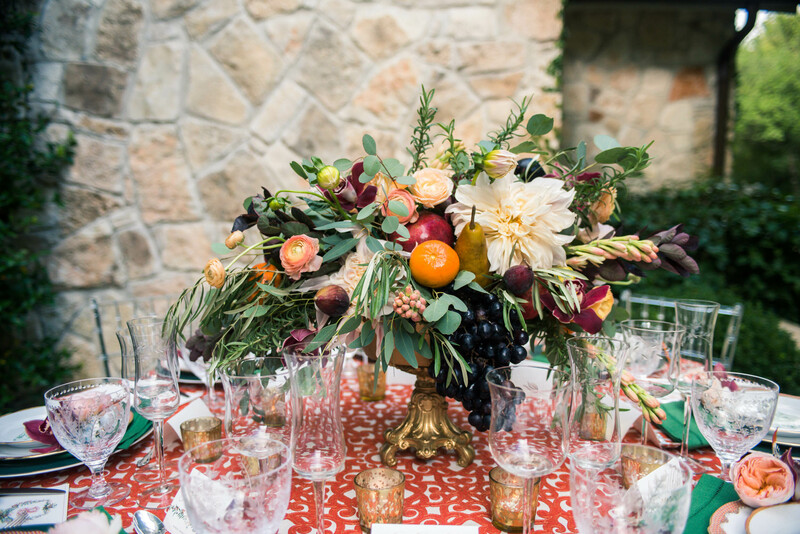 But, first, you’ll be inspired by the swoon-worthy Thanksgiving tablescape from a recent “Modern-Day Lady Pilgrims” collaboration I took part in with San Antonio-based Cloche Designs. 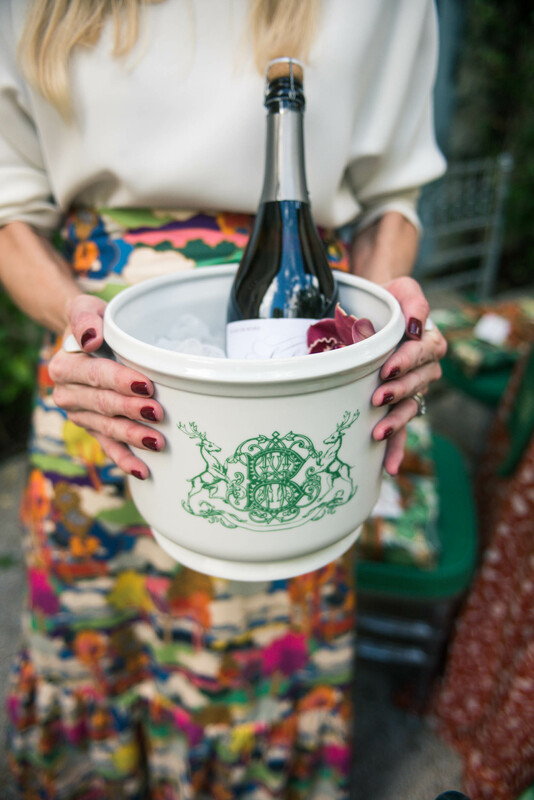 I was so honored to be asked by Laura Nell Burton and Christin Gish of Cloche Designs to contribute hostess gift ideas for their Modern-Day Lady Pilgrims collaboration with other female entrepreneurs I deeply admire: Holly Hollon (Creative Director) and Jennifer Hunt (Founder) of Dixie Design Collective, Cynthia Nouri of Sasha Nicholas (who makes this gorgeous champagne bucket! 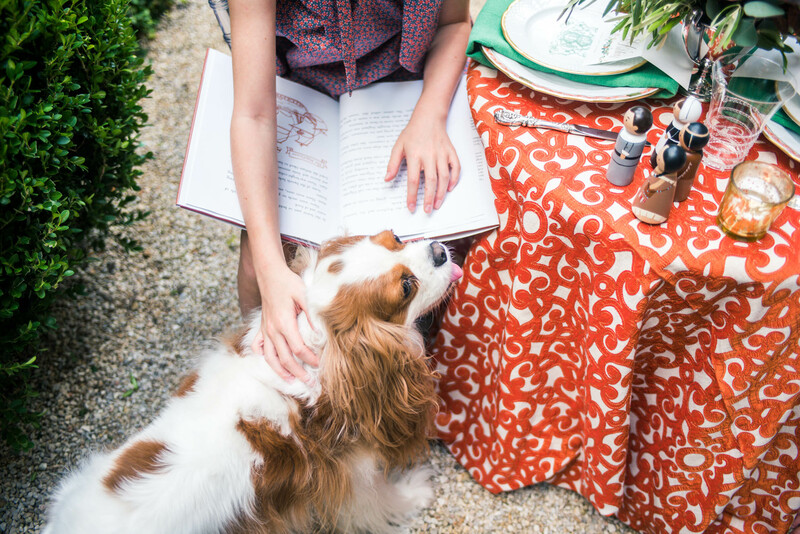 ), New York-based artist Inslee Fariss, and Jenna Kingman of JWK Style. 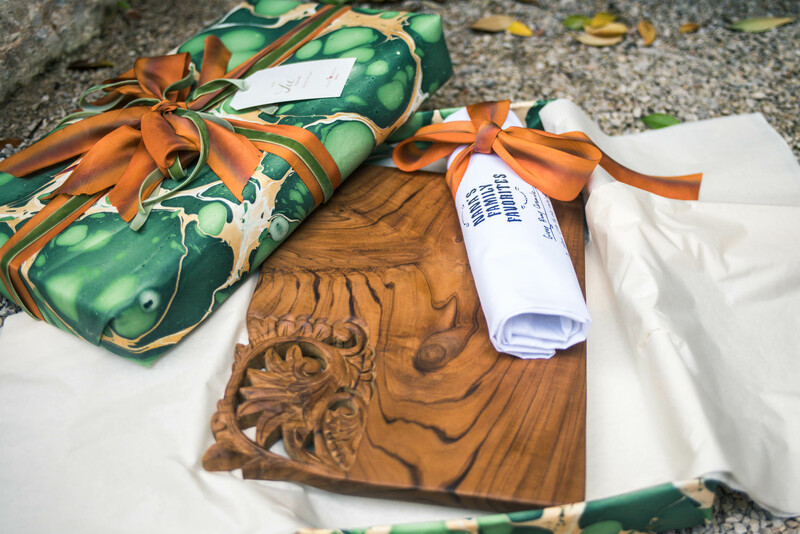 For the ladies’ Thanksgiving hostess gift, I chose this exquisite carved teak serving board found on DoSayGive’s Gourmet Holiday Gift Guide paired with The Gift of Today’s family recipe tea towel found on DoSayGive’s Personalized Gift Guide. 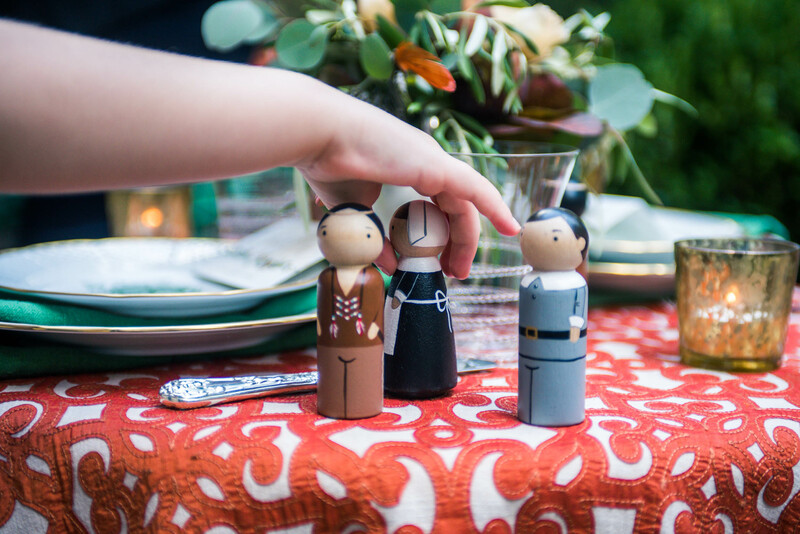 For hostess gifts for the little girls, I chose hand-painted Pilgrim and Indian peg dolls that can be enjoyed year after year. (And keep little hands occupied while waiting for the adults to finish their meal!) 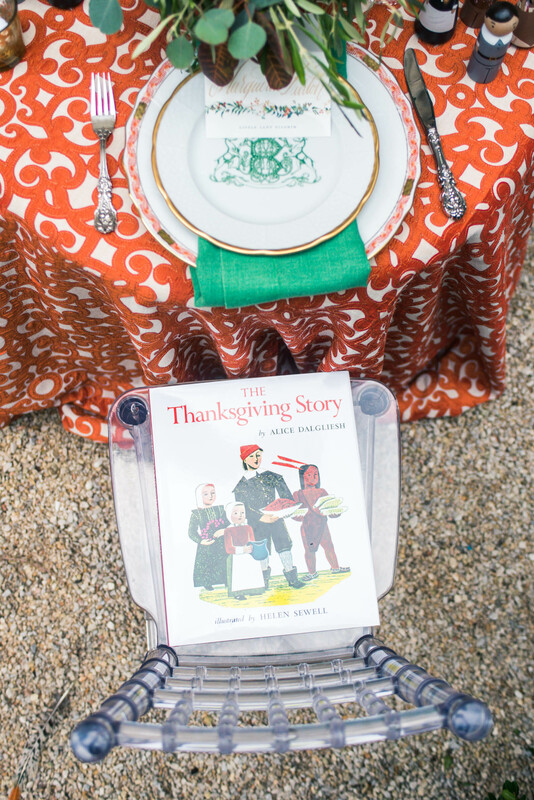 I also chose one of my favorite classic children’s picture books this time of year, The Thanksgiving Story. Record this year’s blessings in a family journal. Each year read over to remember God’s faithfulness and goodness. Have one of the children read George Washington’s Thanksgiving Proclamation. *More fun if he surprises extended family and dresses up like George Washington! Have extended family members each bring multiples of one toiletry item to make boxes for local homeless shelters. Another good activity for children. 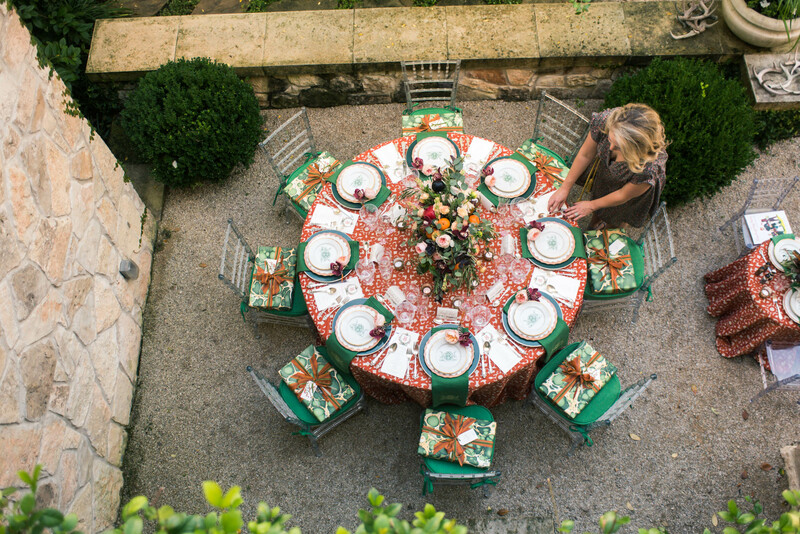 Invite a neighbor or friend to dinner who may not have any family nearby and make them feel loved and welcome. For non-tech entertainment, have children act out the Thanksgiving Story and get creative with costumes! Start an annual epic family game competition. It can be flag football – or board games! 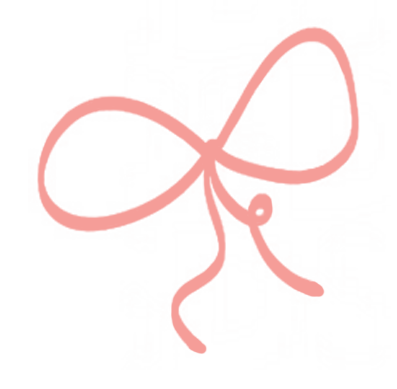 Collect branches on a nature walk to make a Thankful Tree. 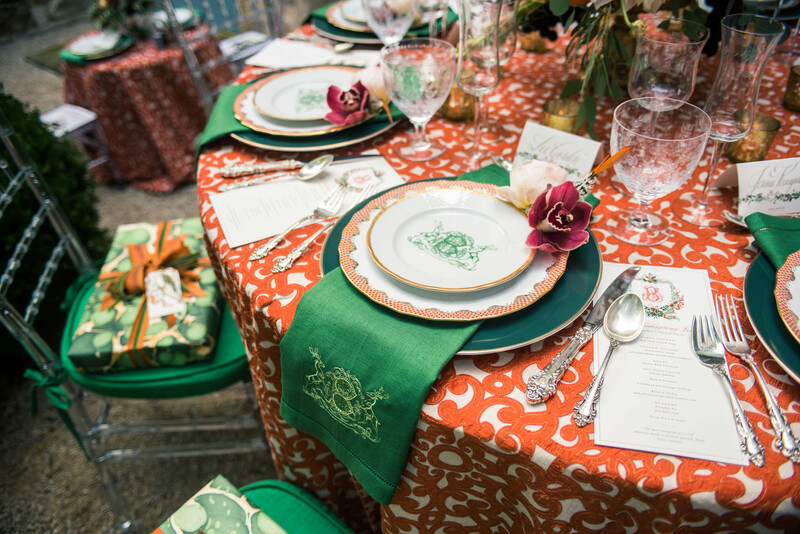 (Also can be centerpiece for children’s table.) Pre-make paper turkey ornaments tracing cookie cutters and have people write down what they are most thankful for. Don’t forget to take a family photo. You won’t regret it years down the road! 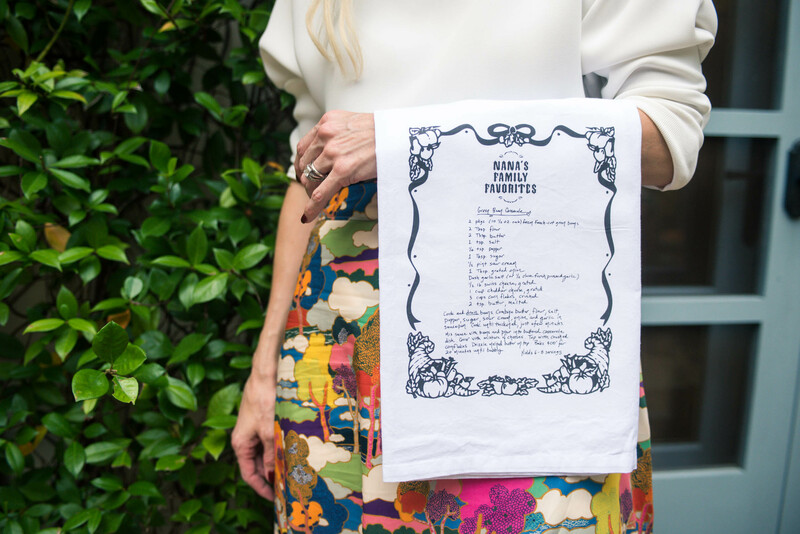 Pin this post to remember these special traditions every year!